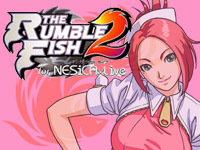 Cave announced some time ago that their future games will be released on NESiCAxLive. To inaugurate this new collaboration with Taito, Cave re-releases Akai Katana today, the horizontal shoot'em up out in August 2010 in which the player can transform from an airplane to a ninja. Akai Katana for NESiCAxLive is actually a port of the "Shin" mode from the version out on XBox 360 and that included an extra level and the "real" end of the game. With this re-release an online ranking is added and the degree of difficulty has been revised. 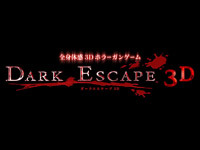 Dark Escape 3D is a new horror lightgun game from Bandai Namco released in Japan today. 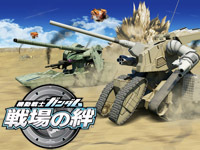 In this game in stereoscopic 3D, players are equipped with 3D glasses and use fixed machine guns that do not need to be recharged for non-stop action. Gun handle features a sensor detecting player's heart rate and displaying it on the screen, at the end of the game, a voice announces "Was scared" if the player's heart rate reached some value several times... To scare the bravest players, the developers did not skimp on resources: the seats vibrate quite violently (eg when a huge monster walks towards the player), air blows on the face and the neck to add realism, the cabinet is equipped with a 5.1 Surround system to give the impression of being surrounded by creatures more hostile than each other and with the stereoscopic 3D, monsters arise just in font of player's face. Dark Escape 3D has been tested in other Asian countries and a worldwide release is scheduled by Bandai Namco (the game has already been translated into six languages). 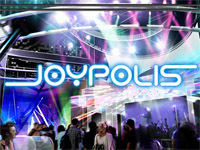 If you are in Tokyo right now, do not miss the reopening of Joypolis in Odaiba. Closed since January, Sega's amusement park was completely renovated for a more modern look (for example, the Jpop Cafe becomes the Frame Cafe). 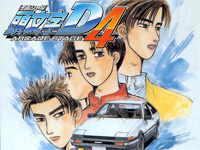 Fortunately, many top attractions are still there: Initial D Arcade Stage 4 Limited, Storm-G, Ace Attorney Investigations, Wild Wing, Let's Go Jungle! Special, Burnout Running, Sky Cruising, Hummer, Answer x Answer Live! Special, ... Some of them have been updated and renamed: Wild River is now Wild River Splash, Wild Jungle becomes Wild Jungle Brothers while Halfpipe Canyon is now called Halfpipe Tokyo. Fans of chills will be delighted with attractions inspired by the "Another" animated series, Sadako 3D feature film (latest Ring). But also Dark Chapel, living dolls house, The House of the Dead 4 Special, Sonic Night of the Werehog 3D (for younger children), and a roller coaster where you shoot zombies: Veil of Dark (which replaces Spin Bullet). To celebrate the event, Hatsune Miku will give daily concerts on the stage in the center of the complex until September 2. Another change is the carnival game space on the second floor which adopts the "Green Hill" theme to become the "Sonic Carnival Zone". The theme of the park is now "merging the digital world with the real world" with many "Digital Real" activities. The latest arcade games are of course featured. Note that currently, visitors can win large "Sonic x Hello Kitty" plushes. It's today that Gunslinger Stratos, Square Enix's new game, is released. This is a "Double Gun Combat Online Multiplayer Action Game" playable online in 4vs4. The originality of this title comes from the controller used: a "double gun device" which can be separated into two guns or combined into one. Many weapons are available in the game such as flamethrower and shield to protect allies, ... 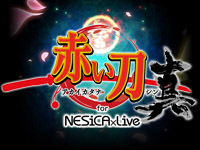 Weapons can be purchased via a points system and saved on a NESiCA card. Single-player missions and co-op missions are proposed to players. The cabinet is equipped with a 60" plasma screen and runs in 60 FPS. 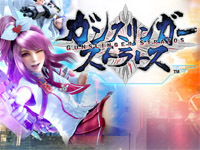 Gunslinger Stratos is developed by Square Enix and Byking (Gundam Extreme VS.). 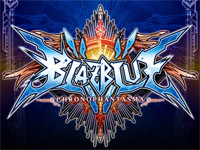 It is produced by Nobuki Kadoya (Lord of Vermillion) from Square Enix and directed by Shinichiro Obata, founder of Byking and former designer from Capcom who worked on Street Fighter and Vampire Savior. We also find character designers Mari Shimazaki (Bayonetta, Okami), Shigeto Koyama (Heroman) and Arco Wada (Fate/Extra). Gen Urobuchi (Madoka Magica, Fate/Zero) worked on the "world concept" of the game that takes place in real environments such as Shibuya. 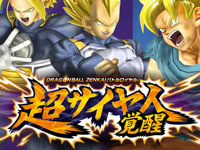 Dragon Ball Zenkai Battle Royale Super Saiyan Awakening, version 2.0 of Dragon Ball Zenkai Battle Royale was released today. As its name suggests, Dragon Ball Zenkai Battle Royale's update introduces the Saiyans! Indeed, Super Saiyan Goku, Vegeta, Gohan and Trunks were added to the roster. A story mode is also added (only playable with a Bana Passport) and some changes are made to the combat system (a "tension" gauge is added, adjustments to characters balance are done,...). A new stage also appears: the "palace of God." End of July, a ranking will be available on the game website. Sega rides the wave of Hatsune Miku Project DIVA Arcade success with the release of its latest arcade title tomorrow: maimai. This is dance/rhythm game using Vocaloid titles, J-Pop, original Sega music, songs from Anime (Magical Girl Madoka Magica) and video games (Initial D),... Cabinet design is very particular with its circular touch screen monitor and controls located all around. The gameplay is simple: the player has to tap or slide along in rhythm when the notes reach the defined zone. At the same time, a camera films the player and at the end of the game, he can upload the video on Nico Nico Douga. 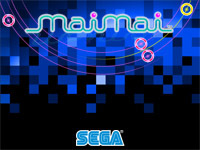 maimai is playable up to 4 and data are saved the https://my-aime.net/aime/jp/p/ card. maimai promotional video is available on our Youtube channel.